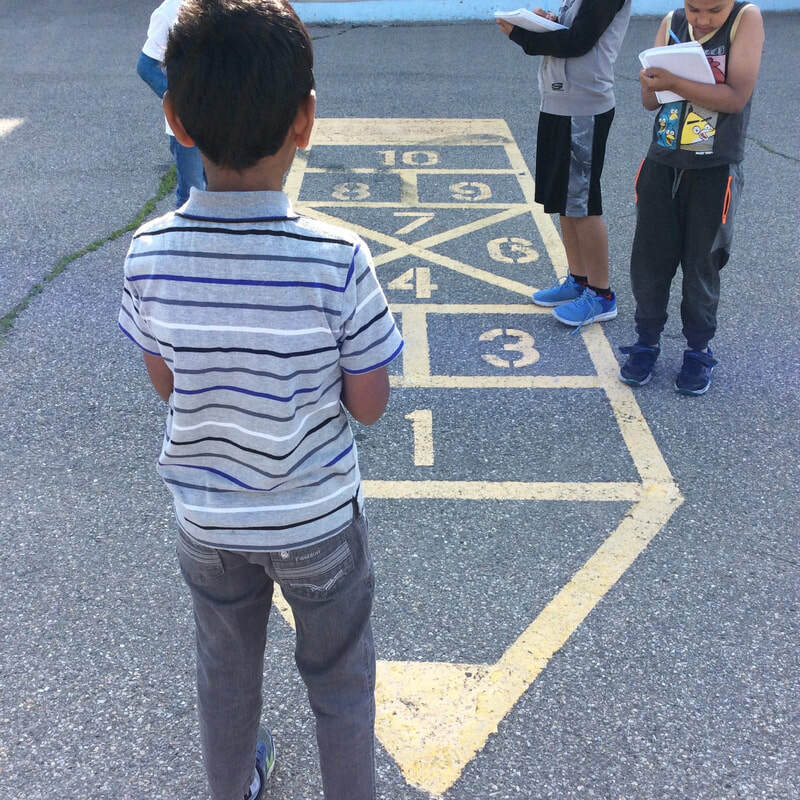 Yesterday students got to play various Indigenous Sports and games as a way to celebrate National Indigenous Peoples Day and our annual sports day! 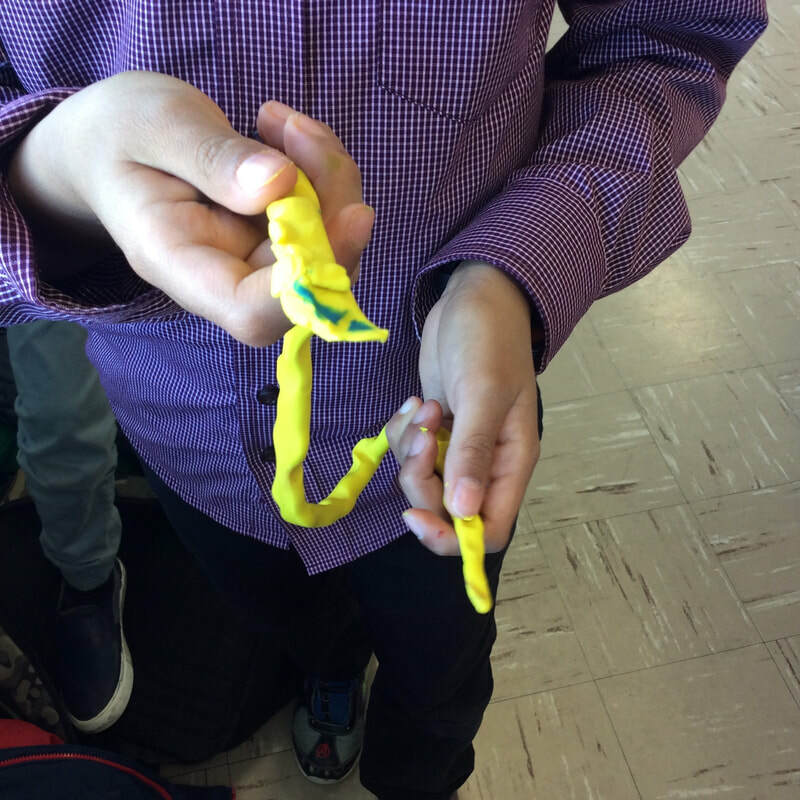 Students played games like Shinny, hacky sack, stick pull, and other fun activities! 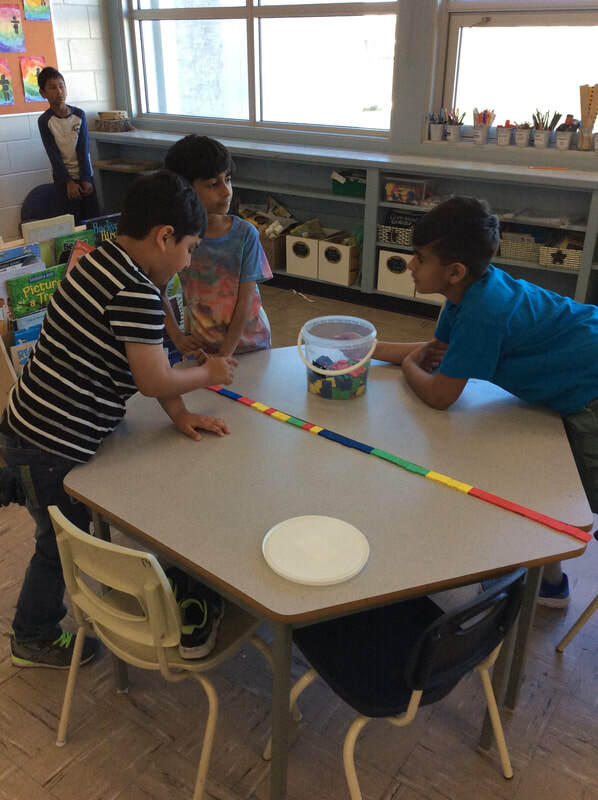 Students got to enjoy the sun and cool down with some freezies at the end of the day! Room 9 also made a chant that they sang throughout the day to cheer each other on! This week in math, students explored 3D shapes and how they can be used to construct different structures. 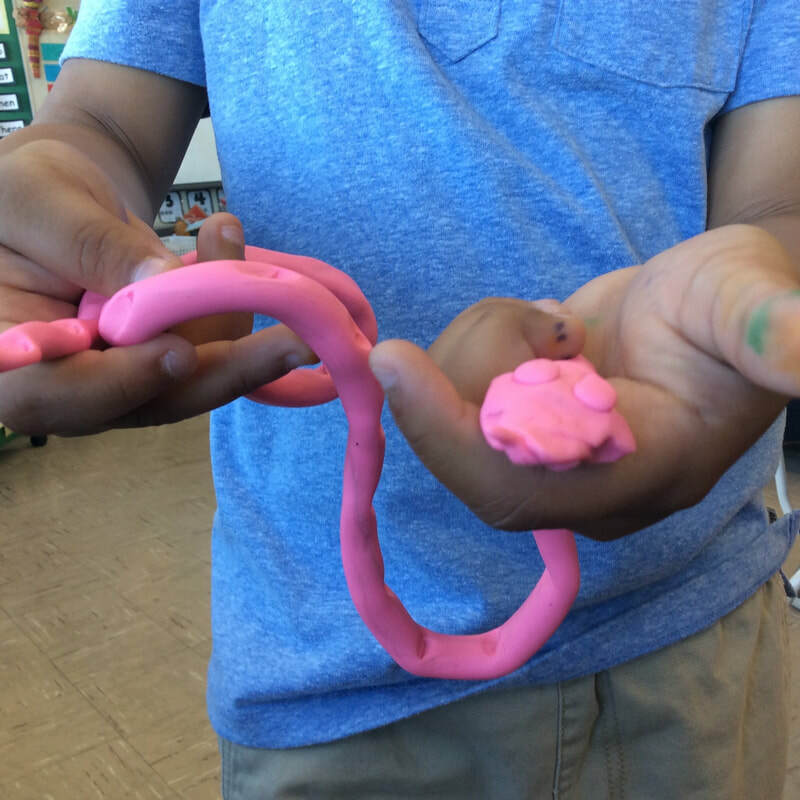 Students made cylinders, cones, cubes, and prisms using play-dough and toothpicks. 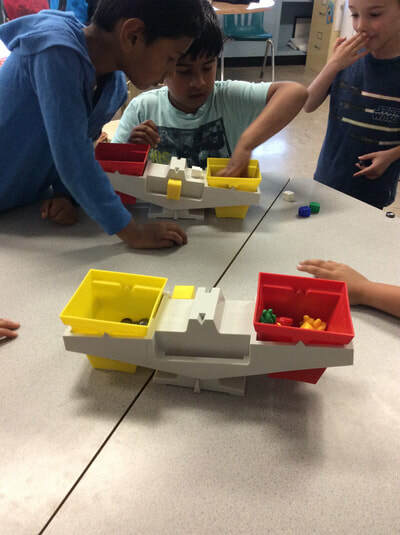 They then participated in a STEM challenge of who could build the strongest structure with just 3D shapes. 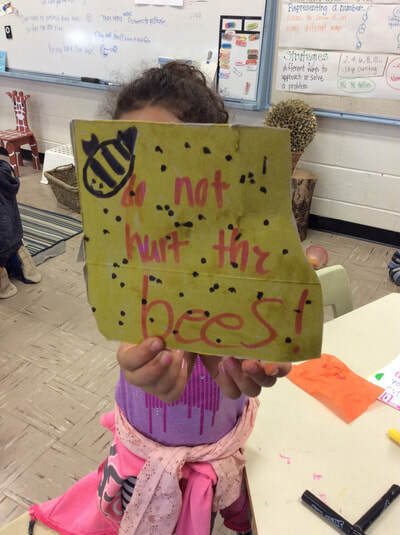 This week, students finished their Entomology Project and presented their findings to the rest of the class. 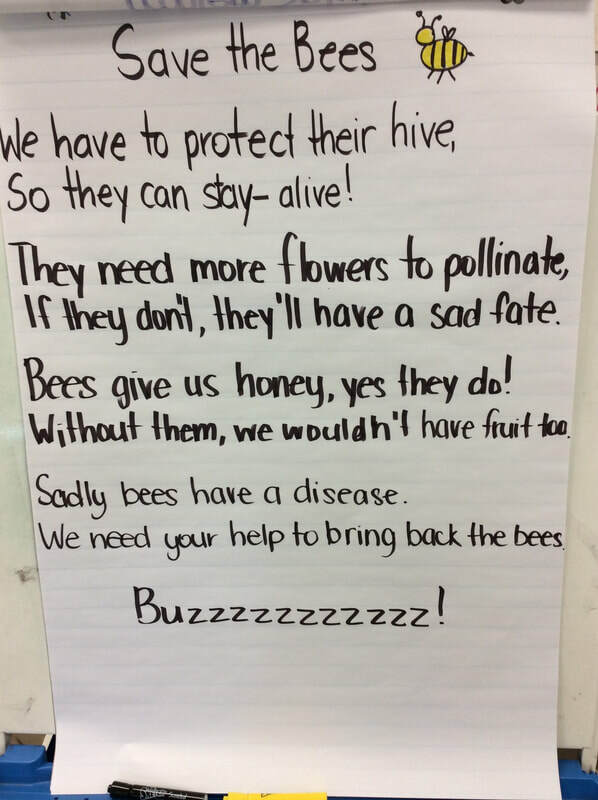 Not only did students get to share their research with their peers, but public speaking is a great skill to foster in students! Students also learned about camouflage and how animals play "hide and seek" in nature. 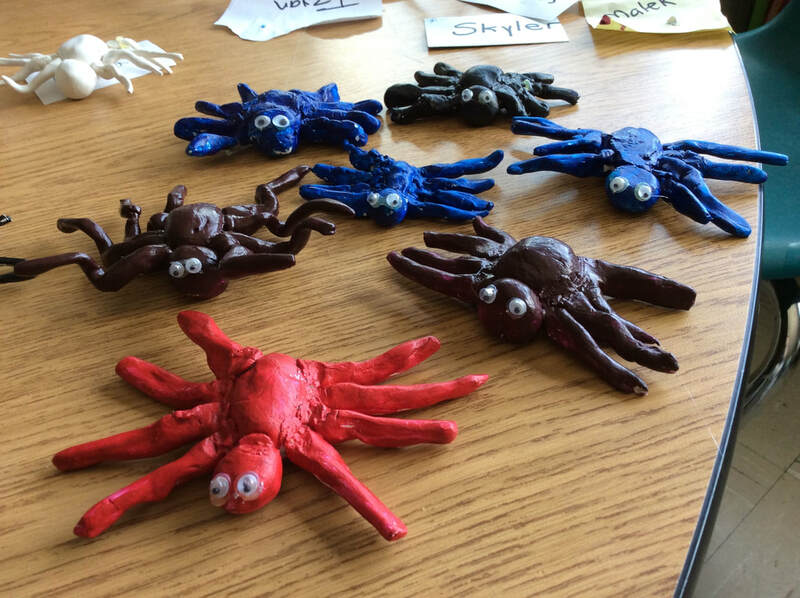 Students each got their own bug to camouflage somewhere outside. They hid grasshoppers and praying mantis' in the grass and leaves, beetles and flies were hidden in the dirt, and bright yellow bees blended into dandelions! Students will receive their report cards on the last day of school (Thursday June 28th). 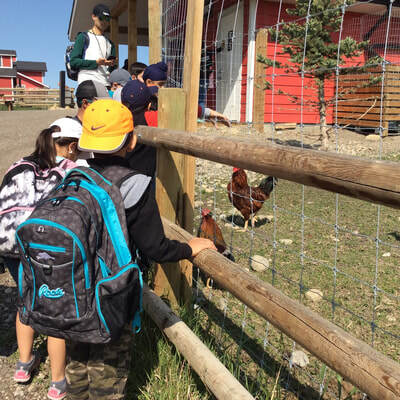 If students are not present, their report card will be available for pickup in August. 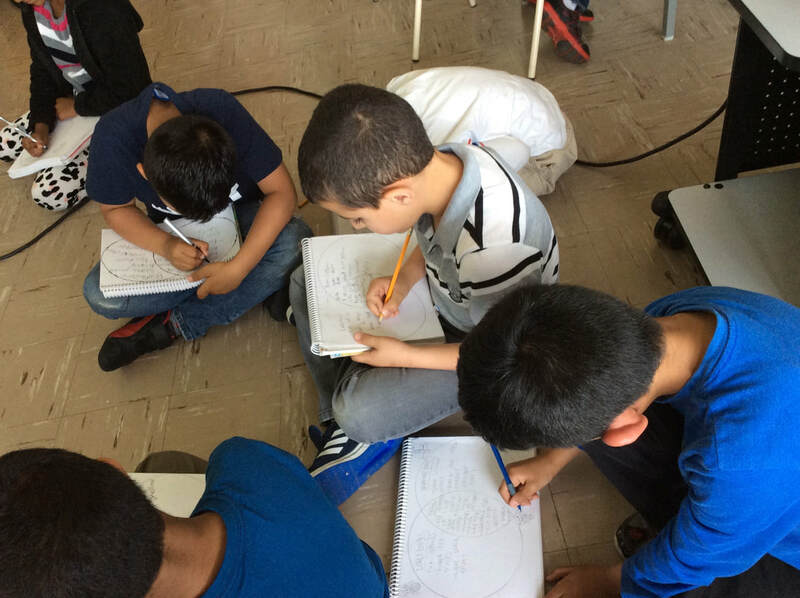 Can't believe we only have 4 more days together as a class! On Friday, all three of the Grade 1/2 classes made the trek to Valley View Park and enjoyed playing with their friends all morning! 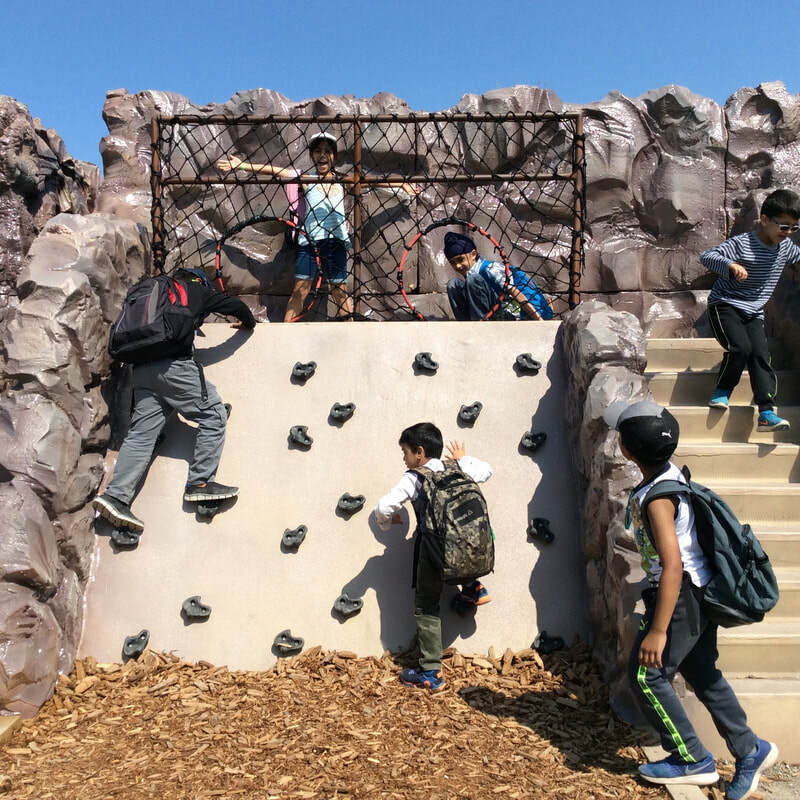 Students played on the various play structures, played beach volleyball and soccer, and some sketched the beautiful surroundings! 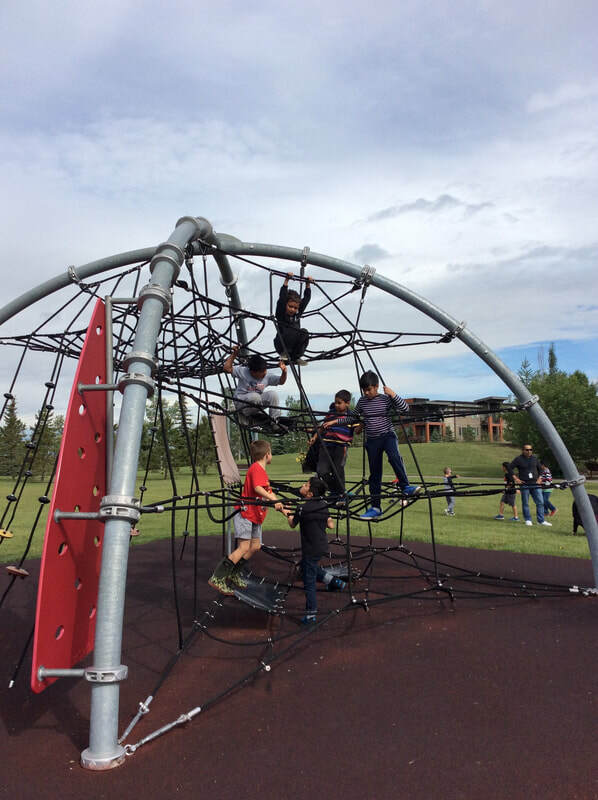 It was a great way to end the school year with a fun outdoor community walk! 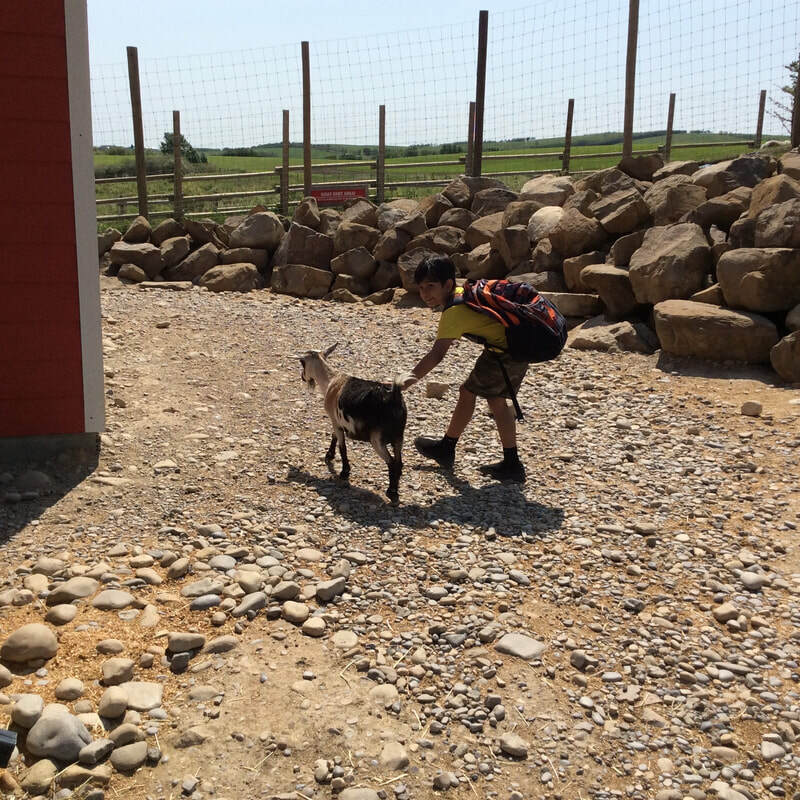 Thank you to all of our volunteers this year for helping out with field studies - the teachers at Valley View appreciate your dedication to your students learning! 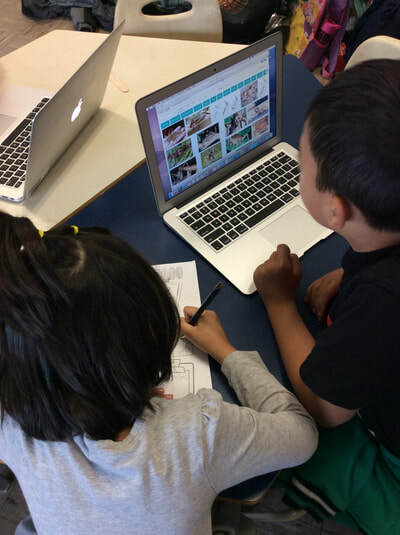 This week, students started their group research project on their favourite insect. 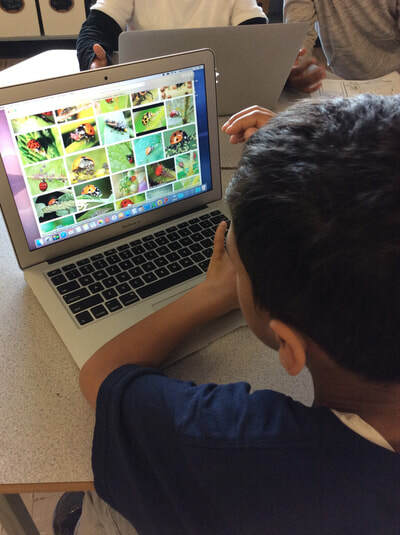 Students focused their research from the lens of an entomologist to gather information from books and the Internet about their insects diet, life span, life cycle, and physical characteristics. 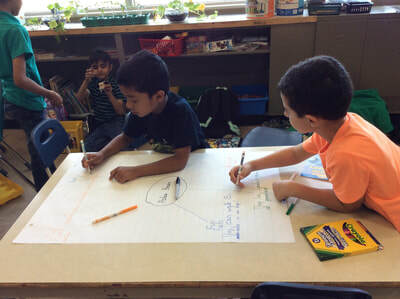 Students are to make a poster to display their research and next week will present it to their classmates. We started to learn about 3D shapes and specific math vocabulary like edges, vertices, and faces. 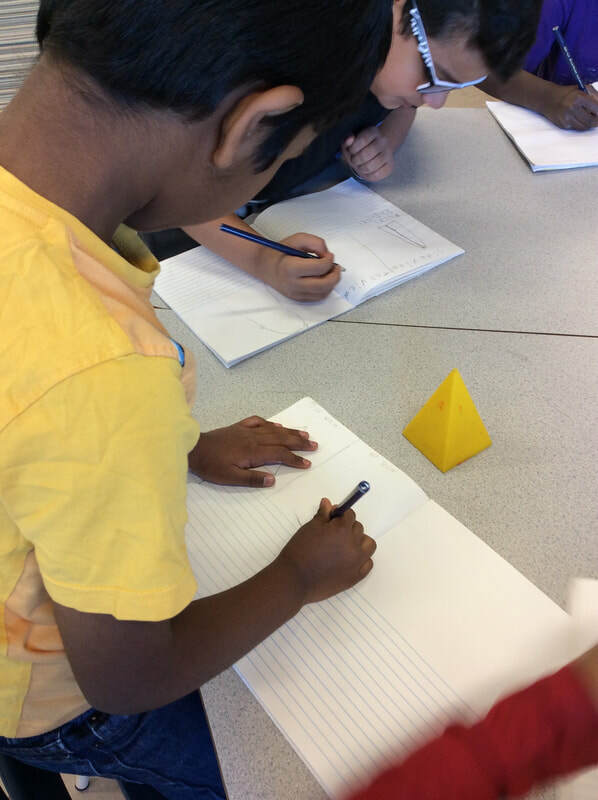 Students had a classroom scavenger hunt to find various 3D shapes and then learned about perspective drawing and how to look at cones, cylinders, and prisms for various angles. This week students worked with watercolor painting during our Eric Carle Artist student. Eric Carle is a renowned artist and author known for books such as the Very Hungry Caterpillar and the Grouchy Ladybug. Eric Carle uses painted paper and collage as his medium for his illustrations and his books tend to focus around insects which fits perfectly into our Science unit! 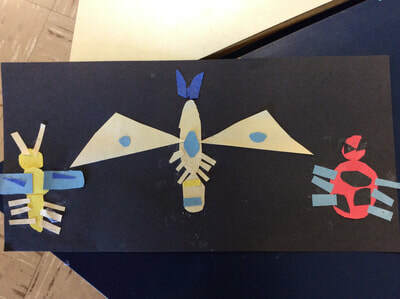 Students created painted paper on Thursday with various patterns and colour schemes in which they will use to create their own insect illustrations! 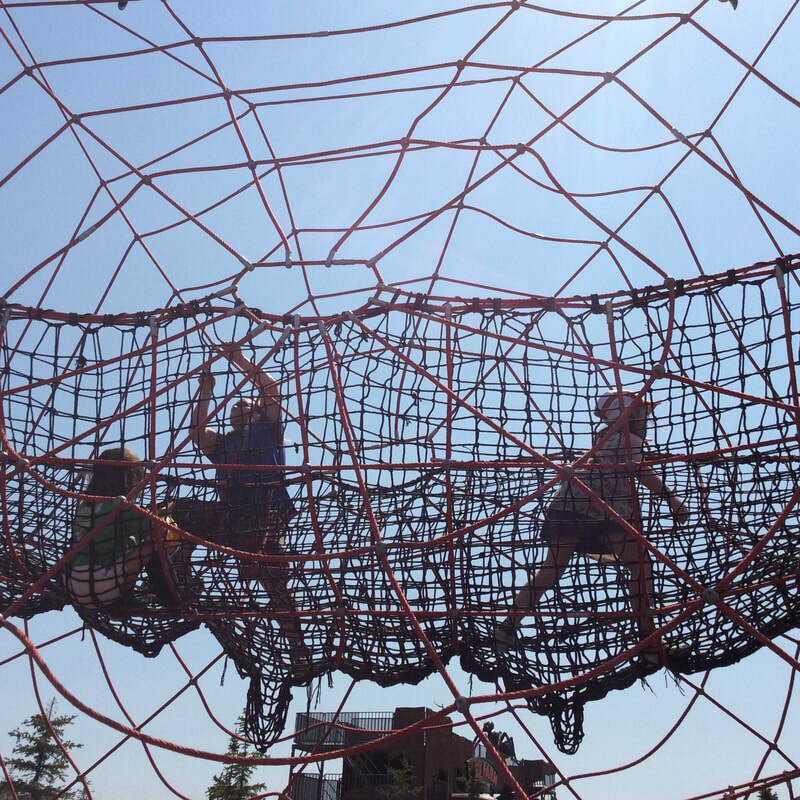 Have a happy Father's Day weekend! 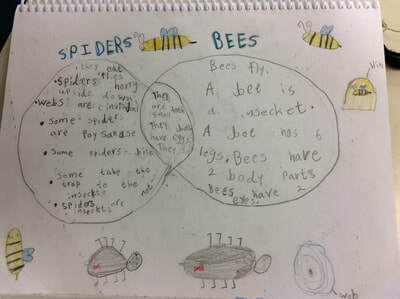 A web is a visual map that shows how different categories of information relate to one another. Brainstorming webs provide students with a flexible framework for idea development, organizing and prioritizing information. Students are presenting their research to the rest of the class. 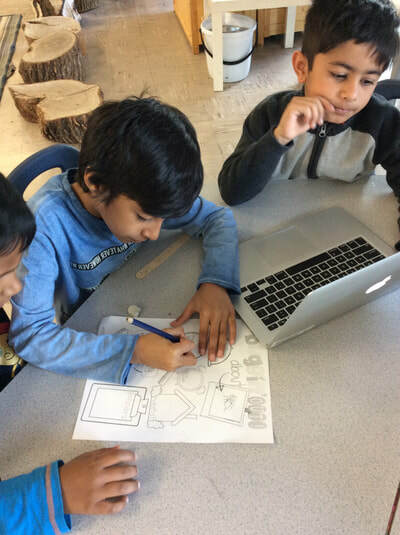 They are encouraged to be prepared and organized for the presentation. They are also being asked to make eye contact with the audience, speak clearly, and show enthusiasm about their topic. 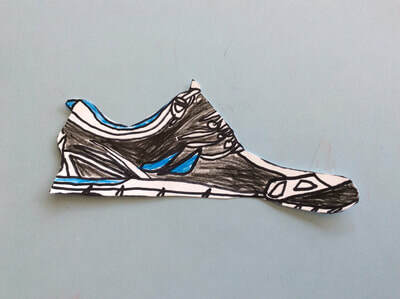 Oral presentations have become a useful and effective way to increase communication skills. In Math, students are working on estimating, measuring and recording linear measurements using both non-standard units (blocks). 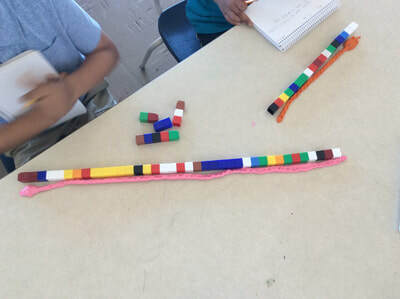 They used modeling clay to make a snake and measured the length. The blocks had to be aligned along the endpoint of each snake. In grade one and two, measurement is essential to data gathering in science. Room 9 is in desperate need of volunteers for this Friday June 15th. 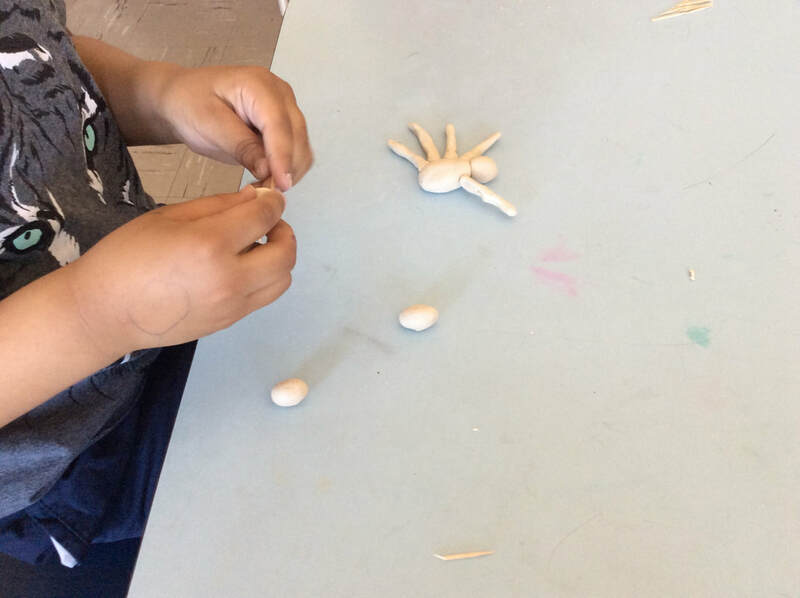 Due to last minute cancellations, we currently only have 1 parent volunteer. 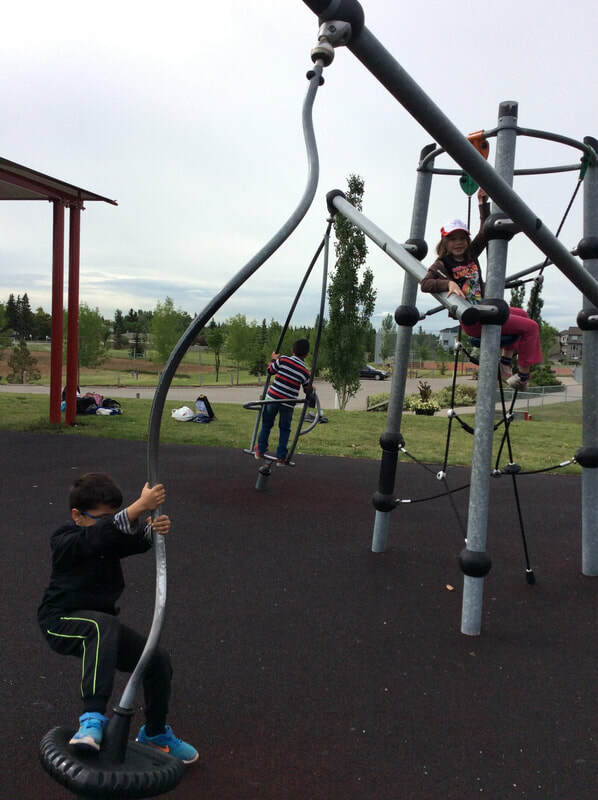 In order to have the proper student to supervisor ratio, we need at least 2 more parent volunteers! 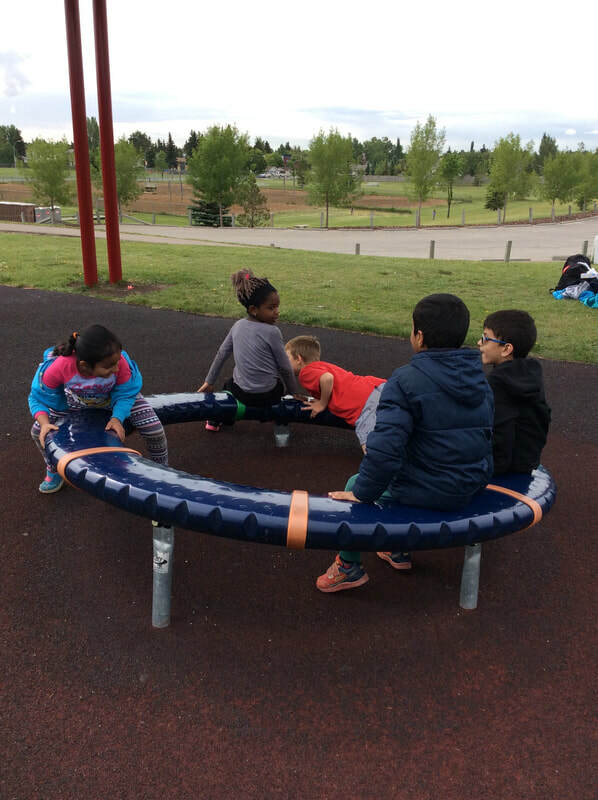 Please email me lmcraig@cbe.ab.ca if you are interested. Unfortunately, if we do not get enough volunteers, we will have to cancel. Thank you very much for your ongoing support of Room 9's learning! 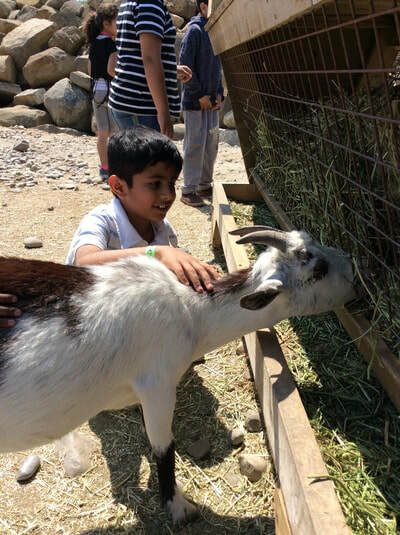 This week's highlight was our trip to Granary Road where we learned about animals and insects! 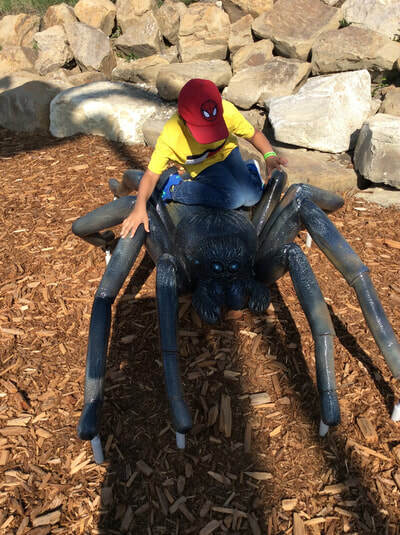 Our first stop was the Arachnid Zone where we learned about different spider species and which ones are dangerous! 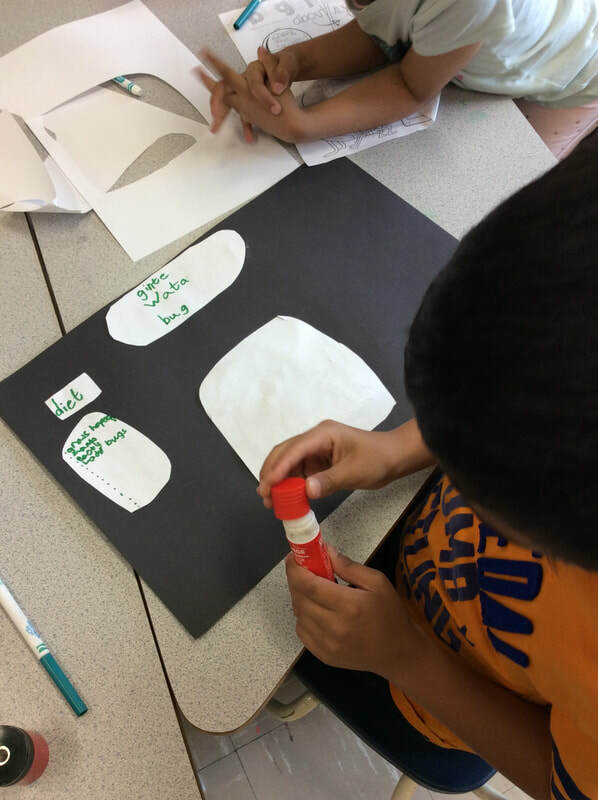 Then we explored an Ant Farm and learned about the differences between a queen and worker ant. Next we headed to the Bat Cave where we did the "Blind as a Bat" maze and got to touch guano (bat poop)! After lunch we went to the petting zoo where we got to pet various animals such as horses, goats, alpaacas, and donkeys. 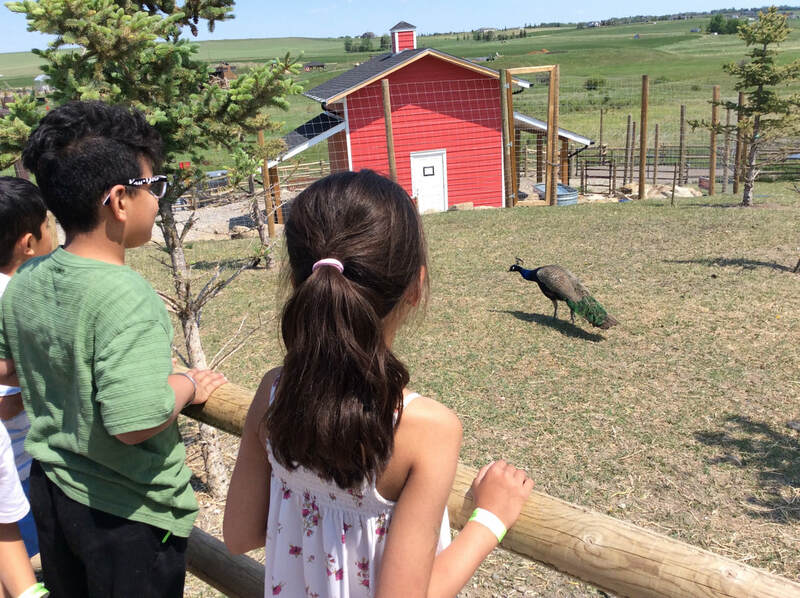 We also got to observe chickens, turkeys, and peacocks! 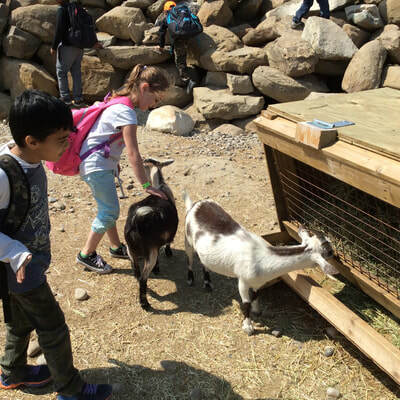 Students had a lot of fun going inside the goat pen and helping the goats eat their lunch! 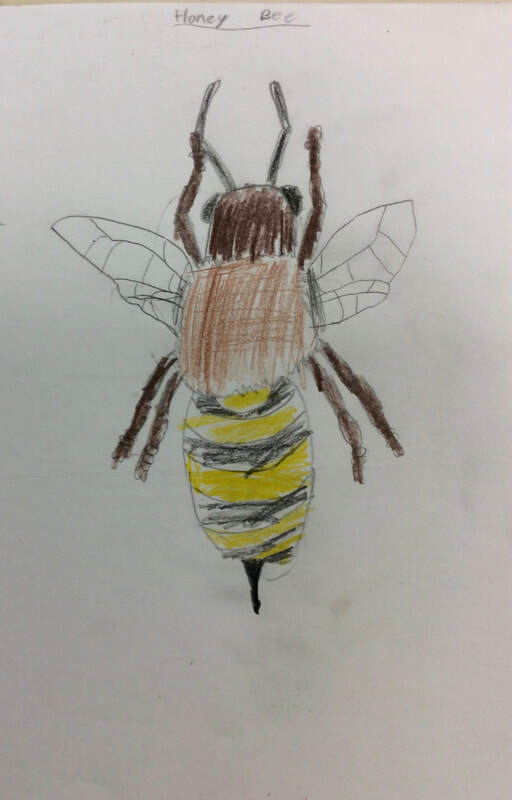 Lastly, he learned about bees at the Bee Hive and got to see a real beekeepers suit. 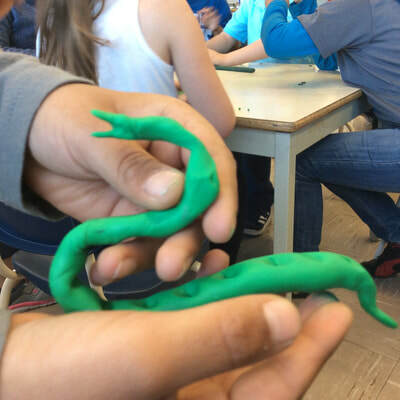 Students had such a great time exploring the various exhibits and making connections between our insect lessons and what they saw at Granary Road! 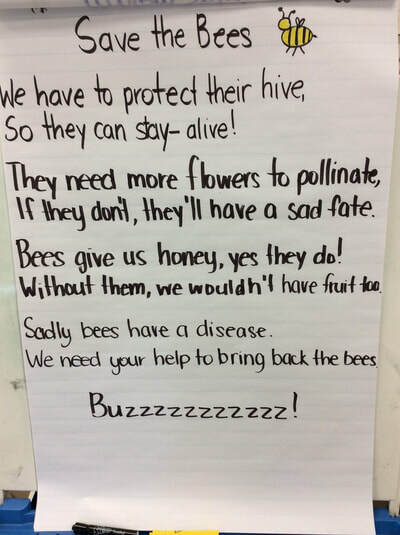 This week students wrote their own cinquain poem about insects! A cinquain is a 5 line poem that has very specific structure including a title, 2 adjectives, 3 verbs, a 4 word sentence, and finally another title. Students also wrote a story about their time at Granary Road which they shared in groups. We are continuing our investigation into various insects including bees, ants, and next week butterflies! 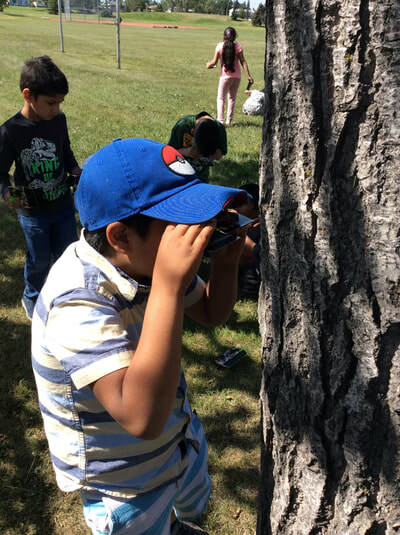 Students went on a nature walk on the school grounds using the magnifying binoculars to search for insects! Students got to see a bee pollinating, ants crawling on trees, and butterflies sucking nectar! 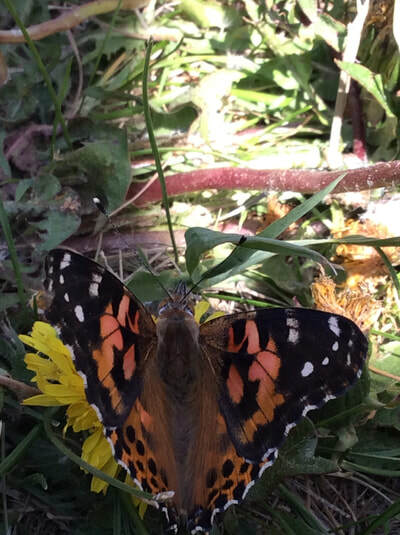 Students were so happy to see these critters up close and notice their 2 compound eyes, their antennae, and head, thorax, and abdomen! This week, we have been talking about the differences between 2D and 3D shapes. In groups, students found various 2D shapes around our classroom and shared their findings with their class. 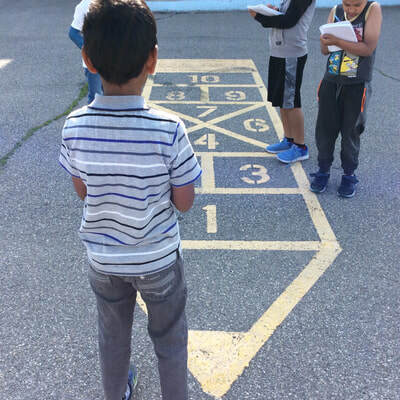 Students then discovered 2D shapes outside as they explored the school grounds. 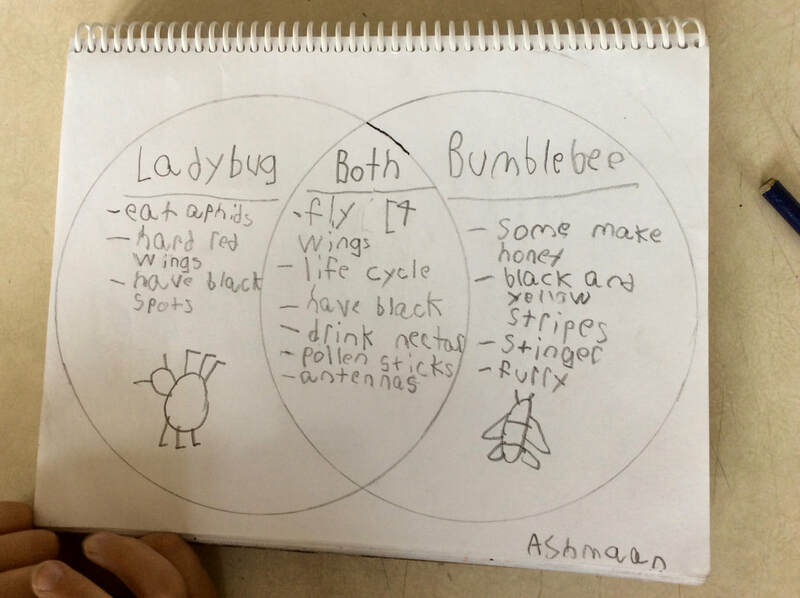 Finally, they realized 2D shapes can be found everywhere, even on insects! Through the internet and our insect books, we found shapes on various bugs: monarch butterflies, bee wings, ladybug spots, and much more! 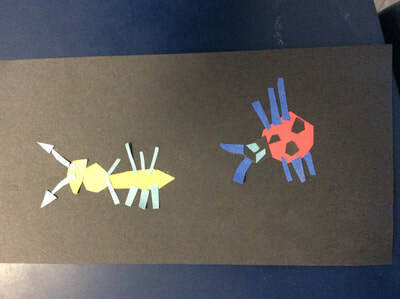 Lastly, students used their knowledge of 2D shapes to construct their own bug! 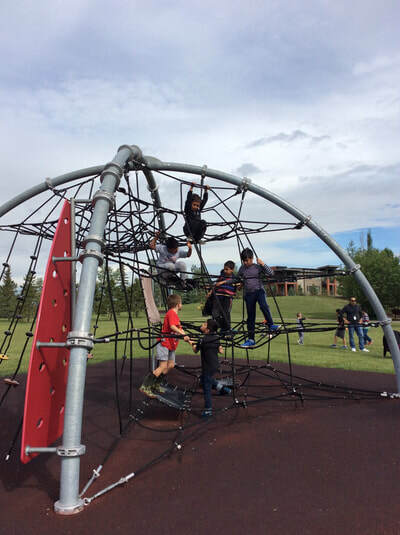 Our last field trip is next Friday June 15th and we still need a couple more volunteers to join us to Valley View Park! 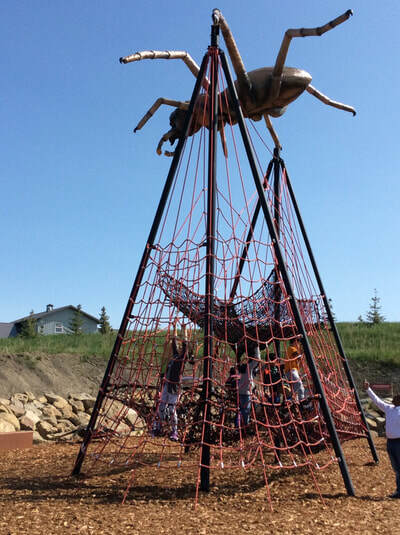 If you are interested, please hand in your volunteer letter or email me at lmcraig@cbe.ab.ca. 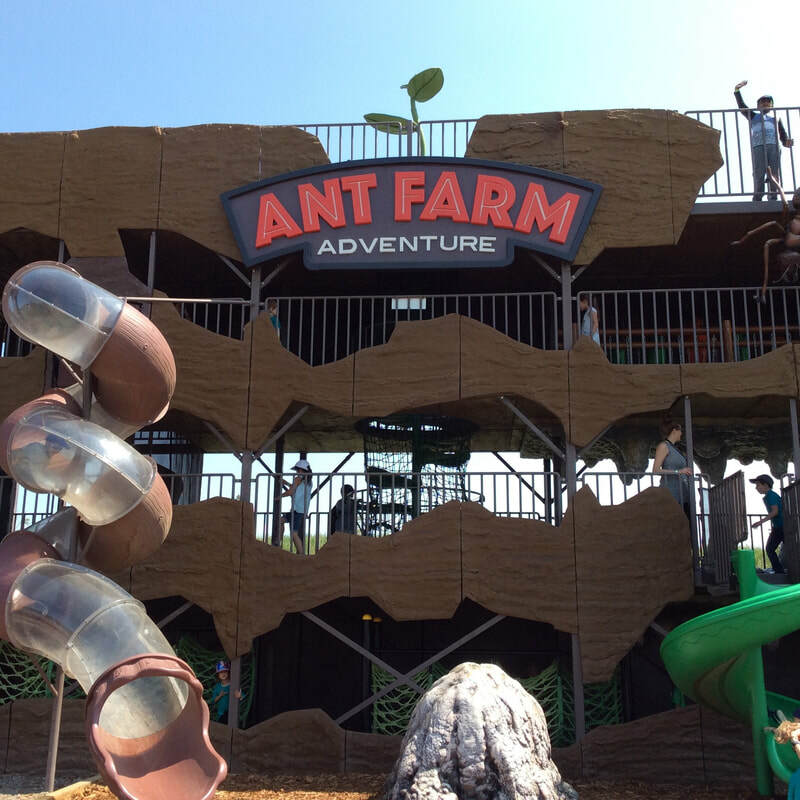 It will be a fun day filled with games and activities! 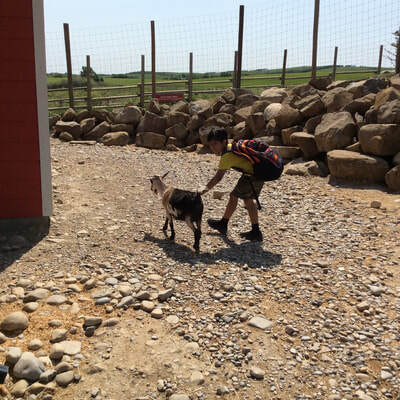 This week, students had so much fun on their field study to Granary Road. 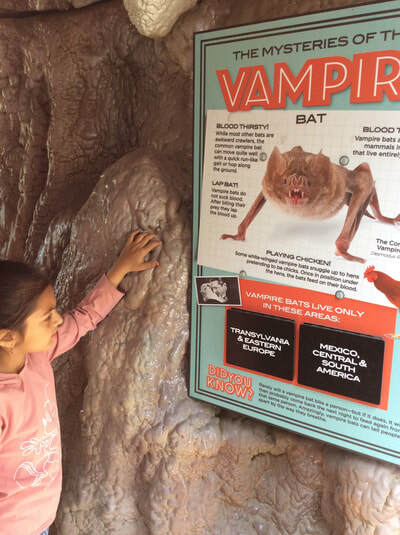 They explored exhibits each featuring imaginative play areas in animal, insect or agricultural themes. 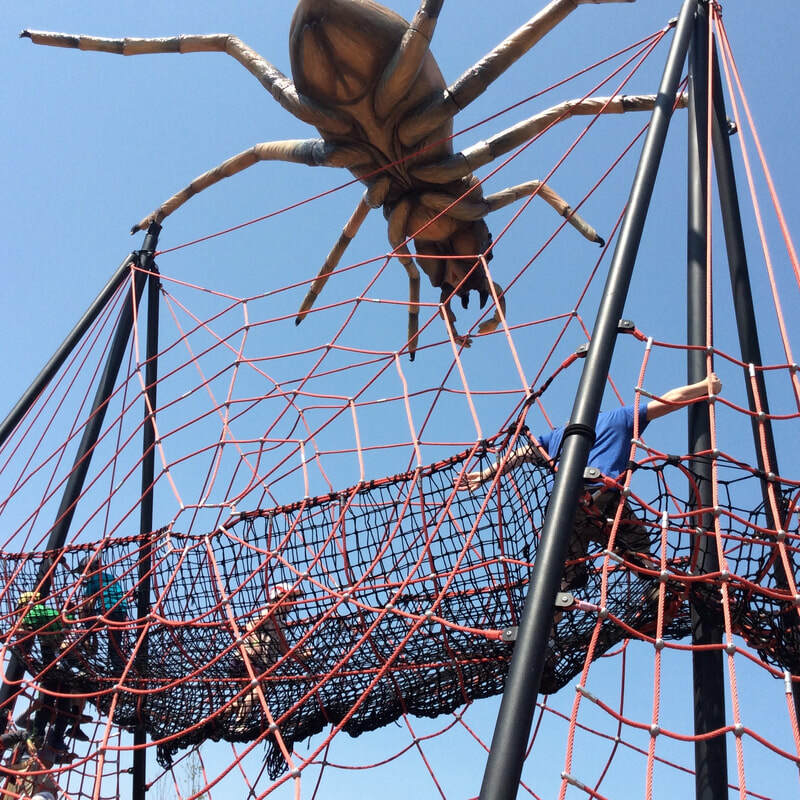 Giant animatronic spiders, bats and bees greeted our students as they climbed and played on swings, slides and climbers that thrilled their imaginations. 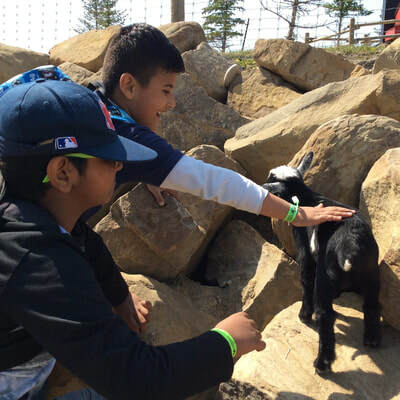 First, students explored the Farmyard Friends Petting Zoo. 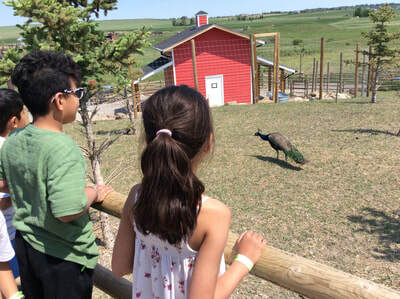 They loved the experience of watching, petting and interacting with a wide variety of traditional and exotic farm animals in a classic farm environment. They were able to pet the animals and watched the daily goat stampede from their barn at the top of the hill down to the goat corral. 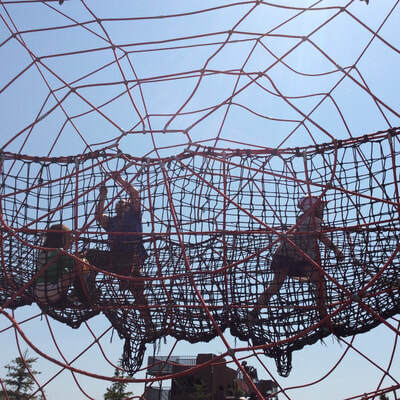 We climbed the Arachnid Web! Here, students were able to climb a 16’ high web of ropes and nets all lead up to a menacing giant animatronic wolf spider. 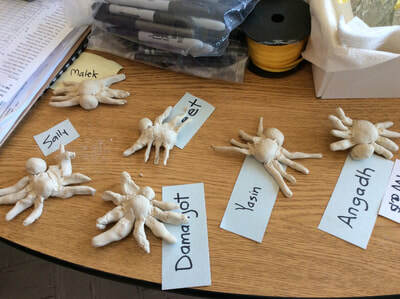 Students learned all about spider life. They also had lots of fun exploring The Ant Farm. 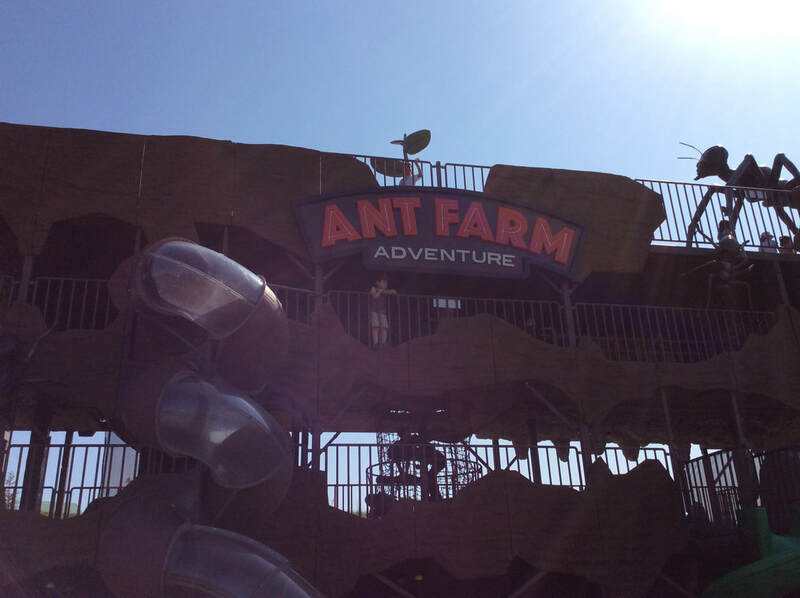 This featured a 4 story life-sized vertical obstacle course under a giant ant. 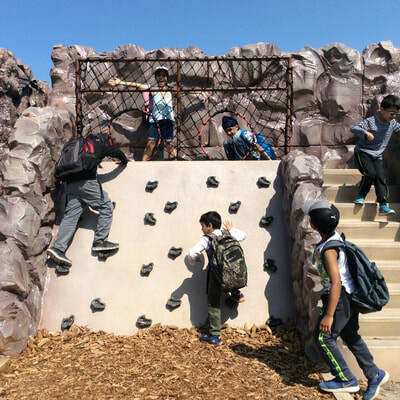 Students got to make their way all the way down past crazy cool obstacles or choose to take a short cut on the double corkscrew earthworm slide or the single twist green grub slide. During this field study, students were using physical movement to enhance their intellectual growth; this type of physical learning makes teaching more effective, as well as fun. 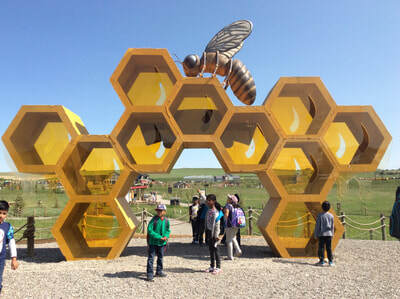 It was an amazing day!! ​Students started their Small Crawling and Flying Animals unit this week and have so far learned about spiders, bees, and ladybugs! 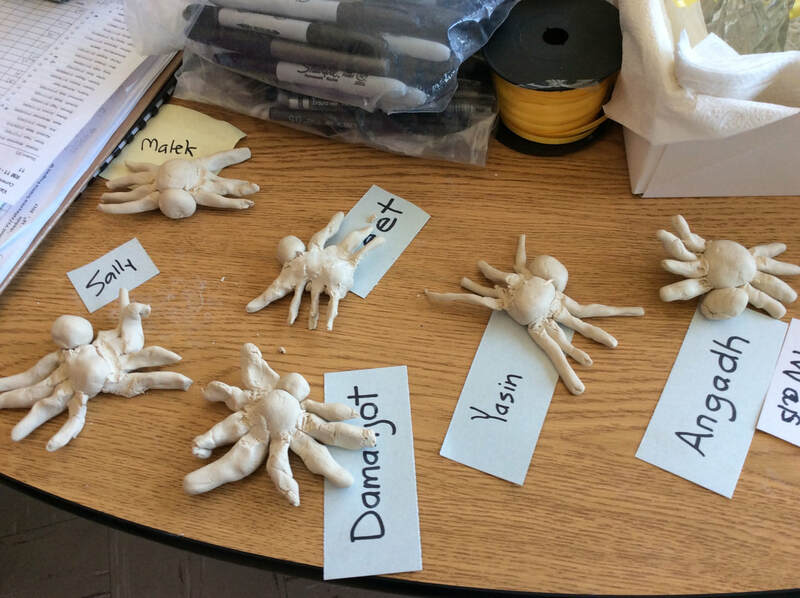 Students learned about some of the physical characteristics between insects and arachnids, as well as participated in a partner research project on their favourite bugs. Students also learned about the societal affect of a declining bee population and how bees are crucial to our agriculture industry. 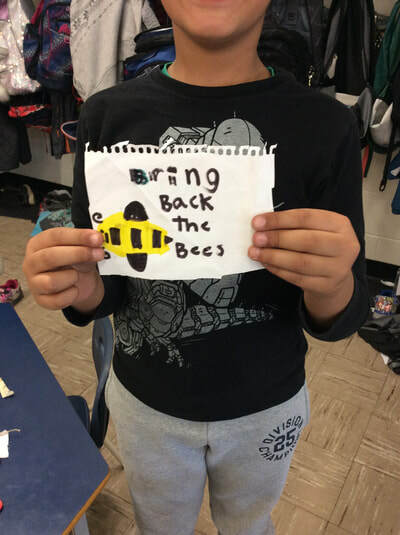 Students created a song and posters for our #BringBackTheBees campaign and will be presenting this song to various classrooms in ValleyView in upcoming weeks. This week, we learned more about the prairie province of Saskatchewan and researched the natural resources it has to offer! 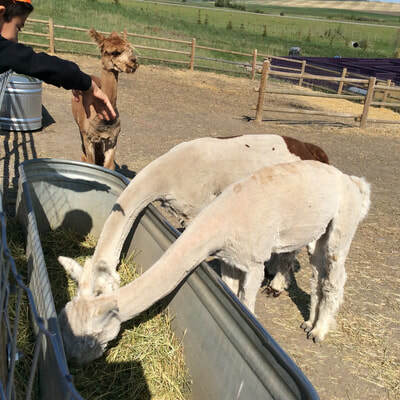 Students learned about crops, livestock, grain elevators, and agriculture. 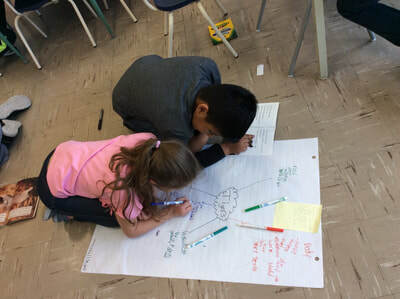 Students also compared urban and rural communities and connected these terms to Saskatchewan, Calgary, and Iqaluit. 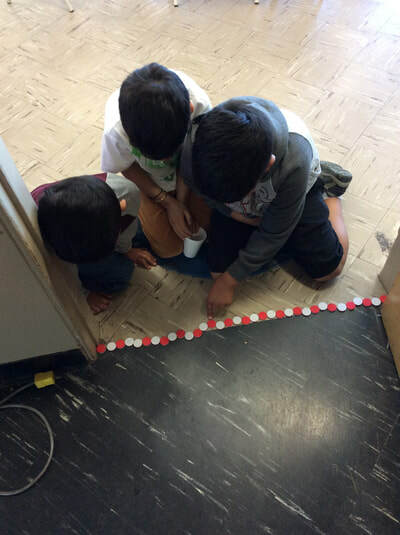 This week in Math students continued learning about measurements such as capacity, height, and time. 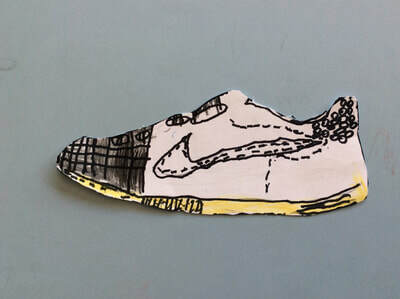 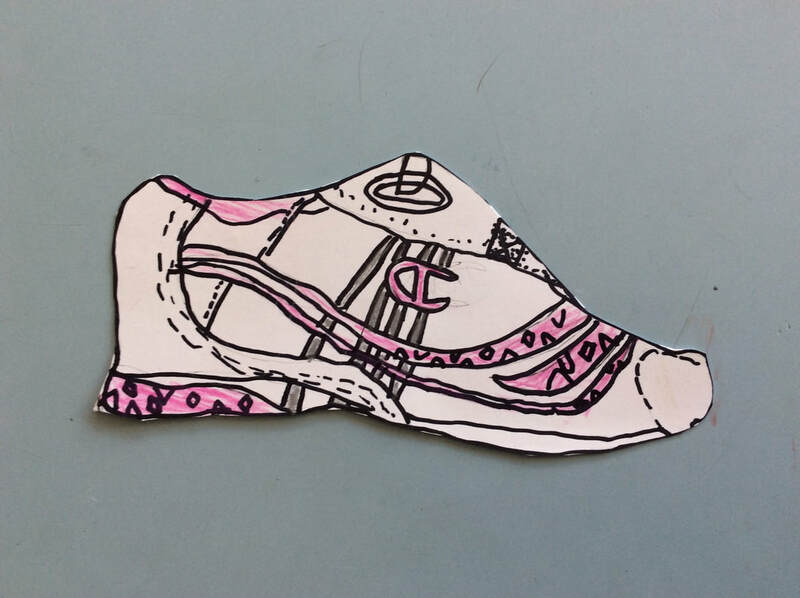 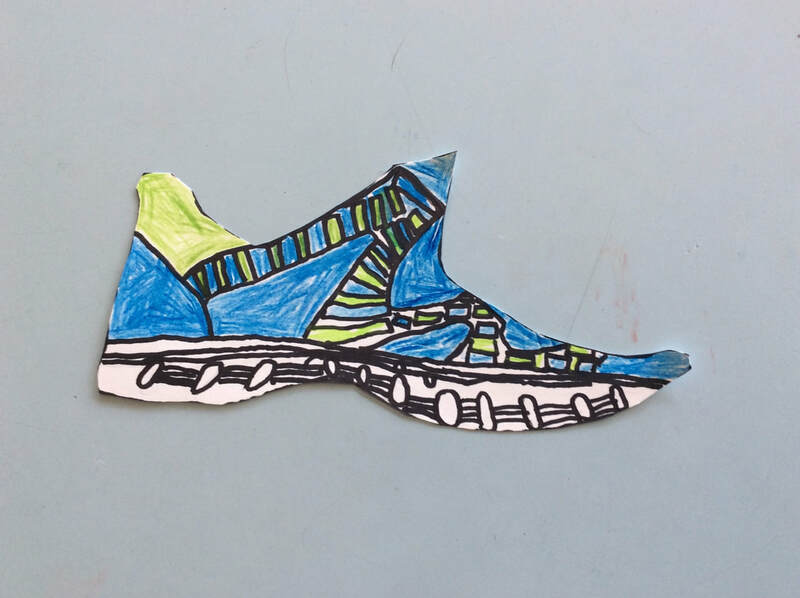 In upcoming weeks, students will be starting their 2-D and 3-D shape unit. We are off to Granary Road on Wednesday June 6th 2018! Please ensure you have your forms and fees in by Tuesday at the latest! 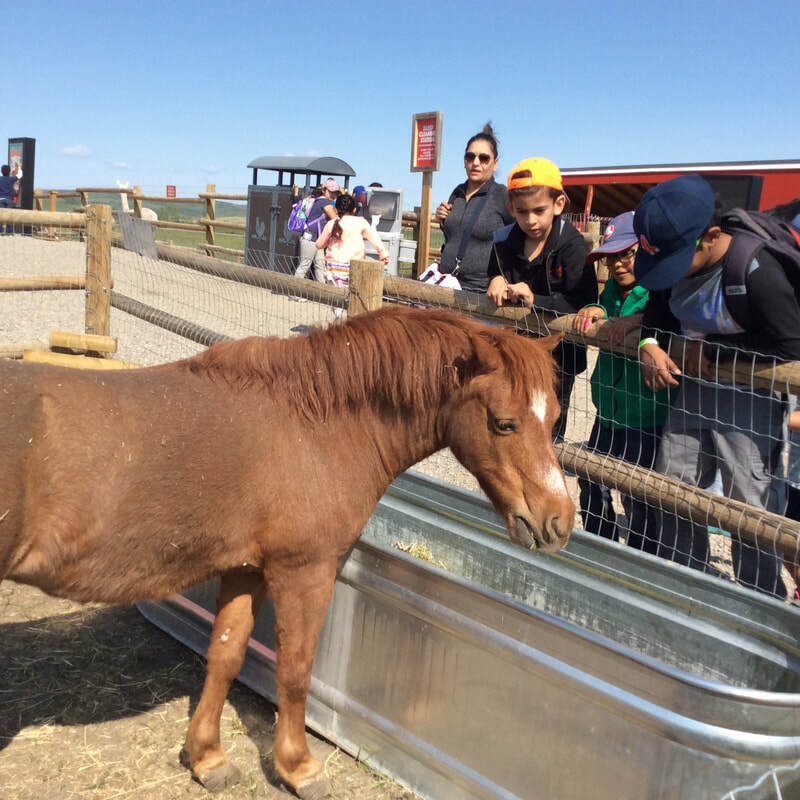 Thank you to all the volunteers who signed up. 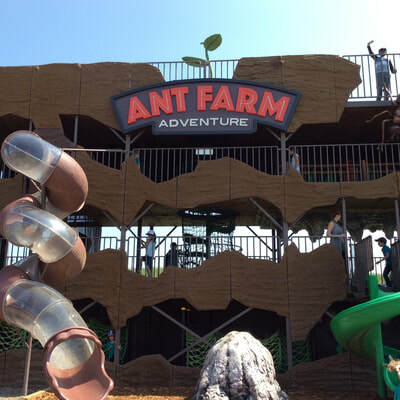 Please be at Room 9 by 8:30am as we are leaving at 8:45 sharp! 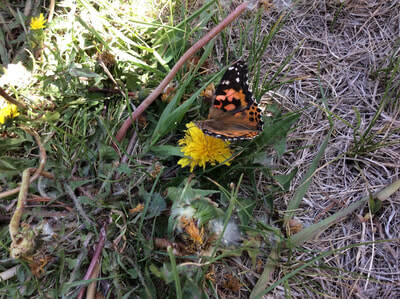 Thank you again to all of the volunteers who have given their time to help out on field studies this year! The science program would not be able to run without your support! 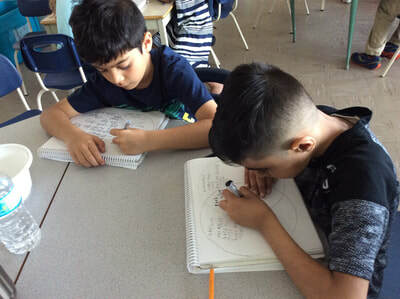 We all appreciate your dedication to Room 9's learning! 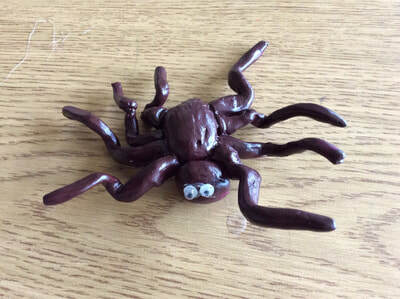 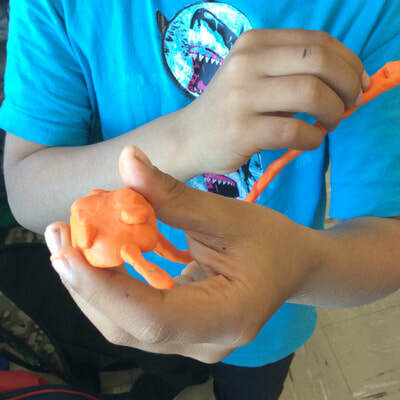 Students had a lot of fun building with modeling clay to learn about spiders. 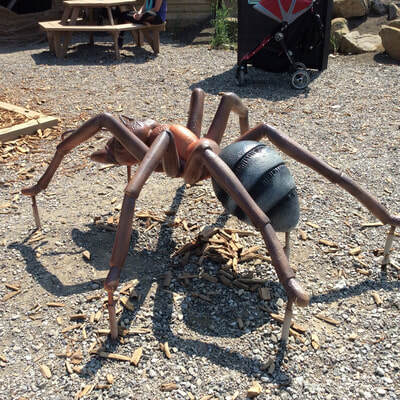 Spiders belong to a group of animals called arachnids. Like all arachnids, spiders have just two body regions, a cephalothorax, and an abdomen. 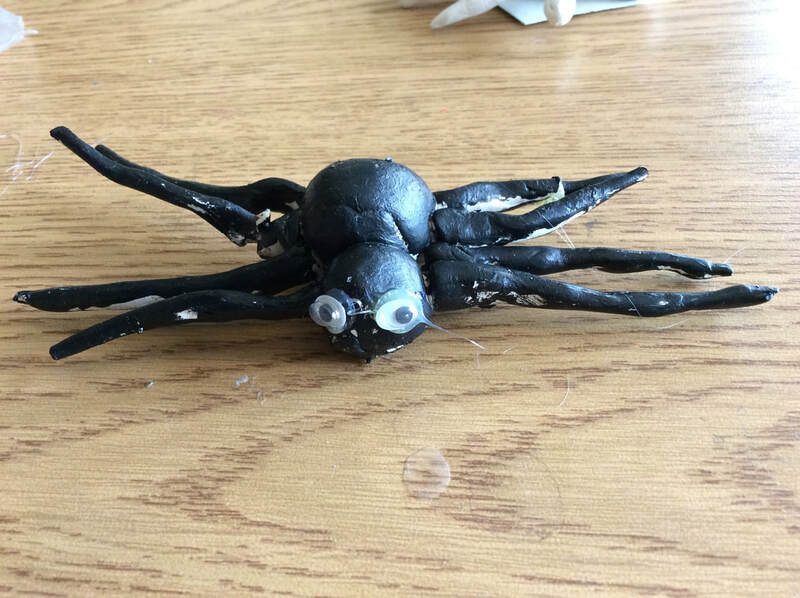 We also learned that most spiders have eight simple eyes, although some have less or even none at all. 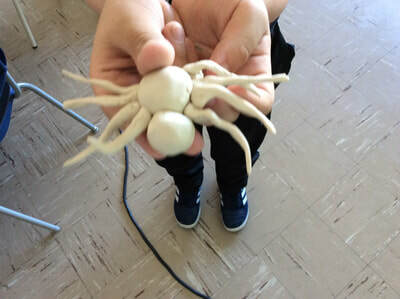 We also learned that spiders are helpful to people and the planet because they eat pests. 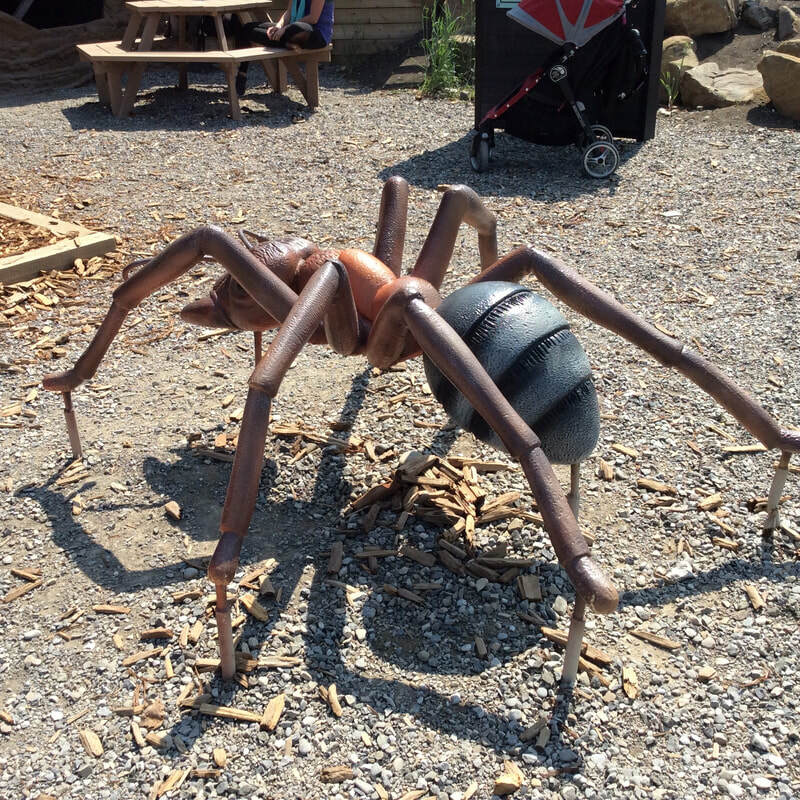 If left alone, spiders will consume most of the insects in your home, providing effective home pest control, so don’t be scared of spiders! 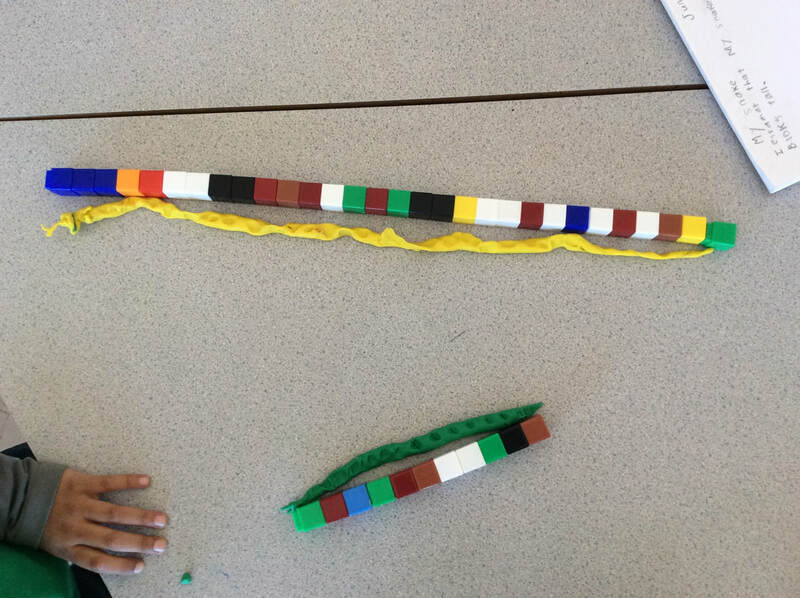 This week students learned about different ways of measurement such as length, height, capacity, and time. 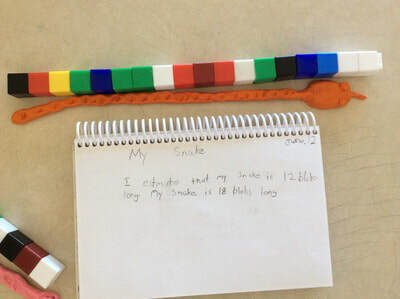 Students explored various tools to measure length such as blocks, rulers, and bingo chips. We discussed precision and how to make accurate measurements. 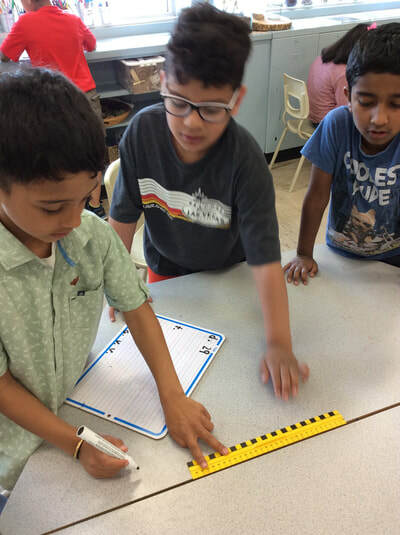 Students also investigate the ideas of weight and balance using scales. 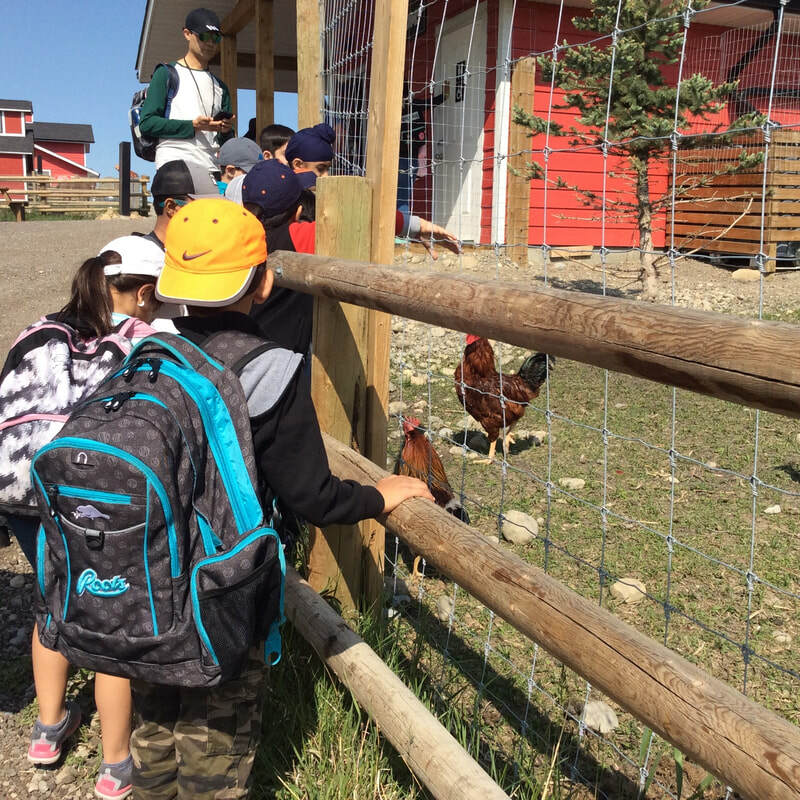 This week students started learning about new community in Canada, the Saskatchewan Prairies. 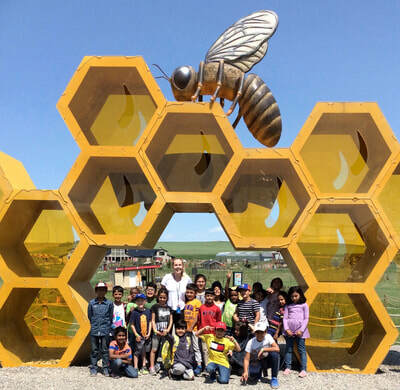 Students participated in Saskatchewan Yoga, where students had to copy poses that represented aspects of Saskatchewan, such as farming, tractors, grain elevators, and bridges. 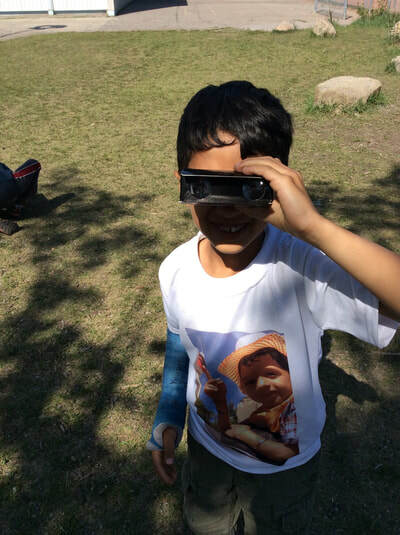 Students got to "explore" the city of Saskatoon through books, videos, and Google Maps. 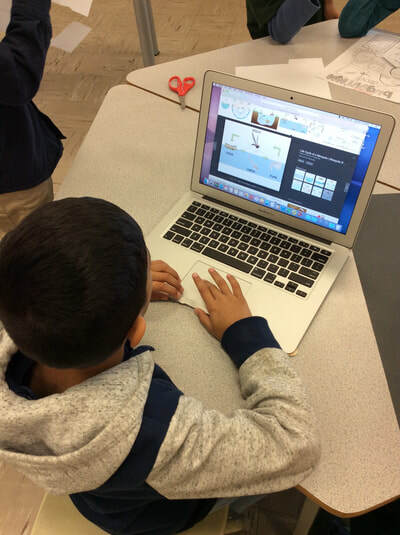 Students compared the differences in weather and land between Calgary, Saskatoon, and Iqaluit. We also continued our discussion on community and students explored their various roles and responsibilities in each community. 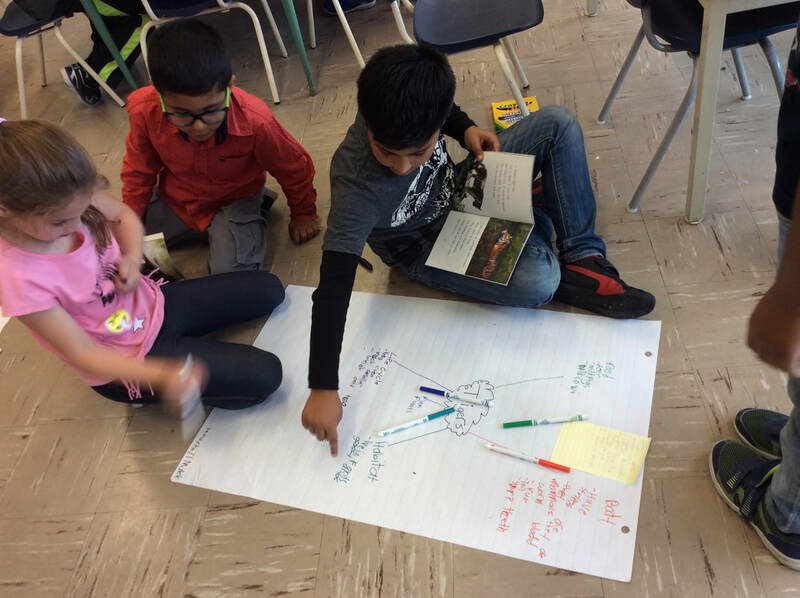 As a way to demonstrate their understanding, students were split into groups to present a skit about their ValleyView School community. In their groups, students had to prepare a script and presentation about who belongs to their school community and what students, teachers, and principals need to do to be apart of the community. 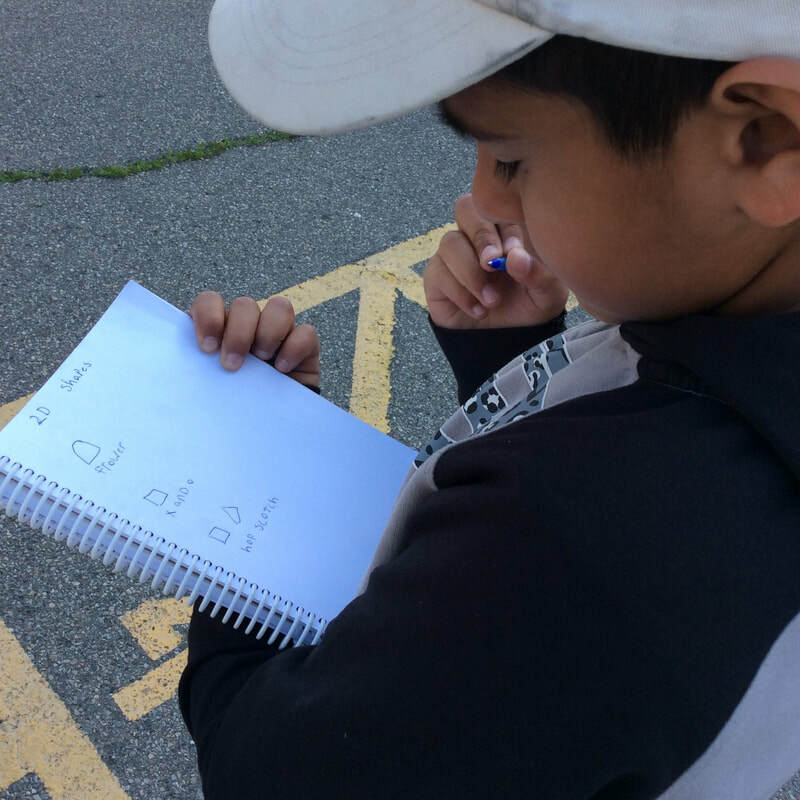 Students really enjoyed working as a group and be able to act in front of their peers! 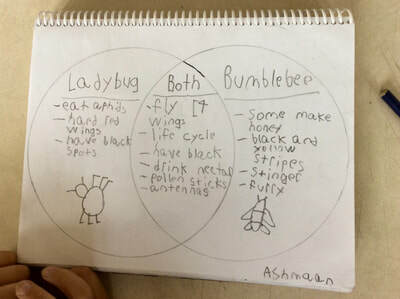 Students have started their Small Crawling and Flying Bugs unit! 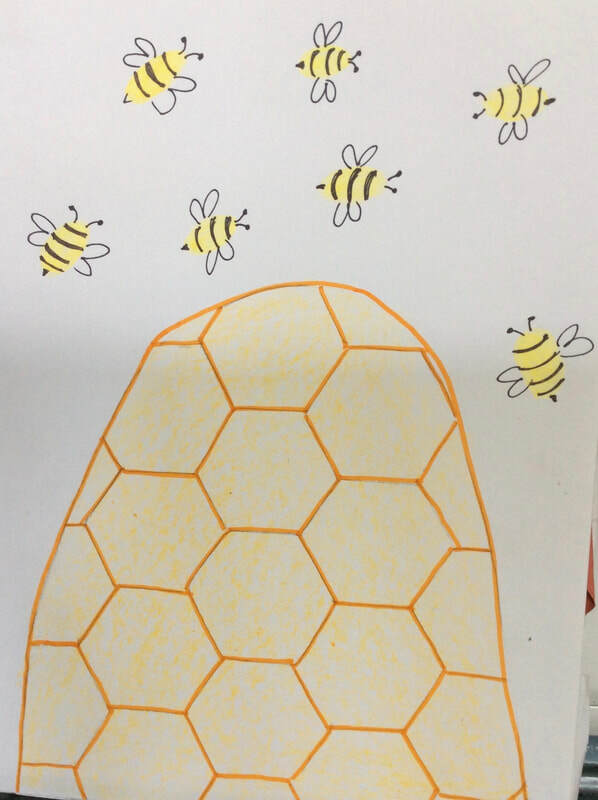 They created fingerprint art of various bugs like ladybugs, ants, spiders, and caterpillars. They went outside to explore their surroundings to find various bugs in their environment. 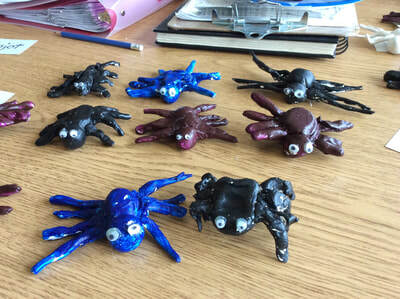 Next week students will learn about spiders including their habitat, adaptations, and fun facts! 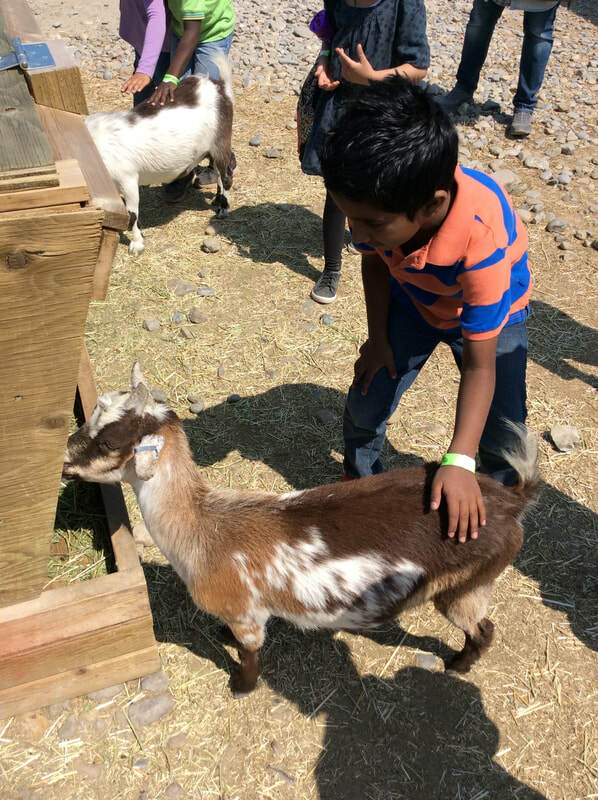 Please hand in your forms and payment for the Granary Road field trip on June 6th. 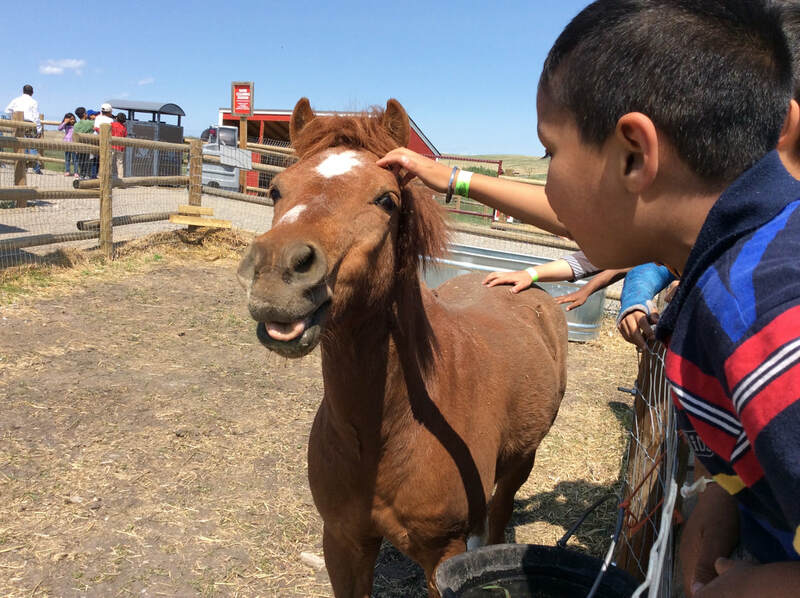 We are still looking for 4 volunteers so please sign up if you are available! This week, we have been learning about Small Crawling and Flying Animals. 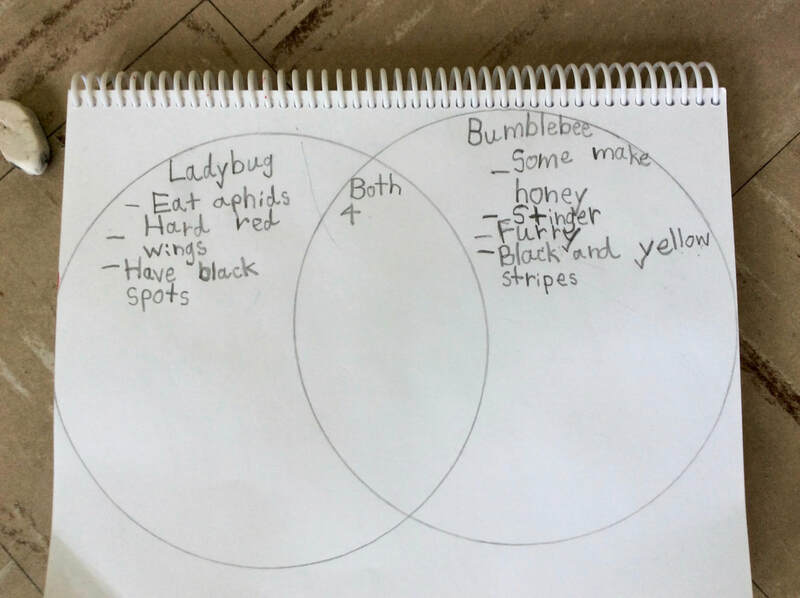 Using a Venn diagram, students explored the similarities and differences between ladybugs and bumblebees. A Venn diagram is a graphic organizer that is made up of two overlapping circles; it is is a great way for students to see a picture of the ideas and their relationships; this helps them to remember the information being presented, so that they begin to find patterns and connections to what they are studying. 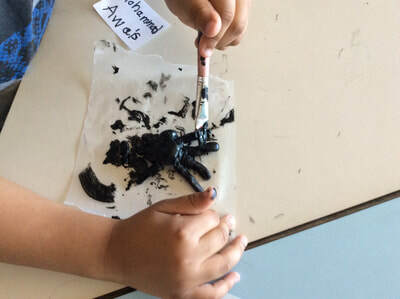 They also enjoyed creating beautiful ladybugs using tempera paints! 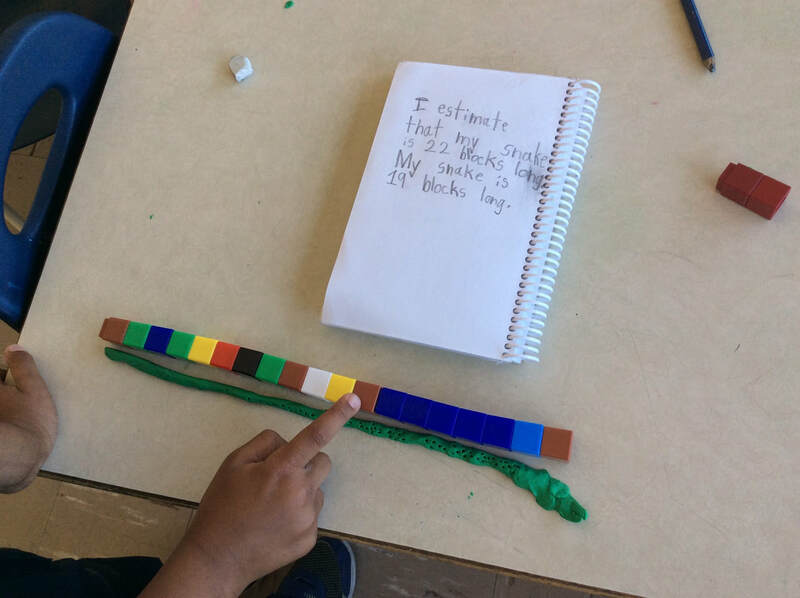 If we measure our shoe from one end with blocks, how many cubes do you think we will need? 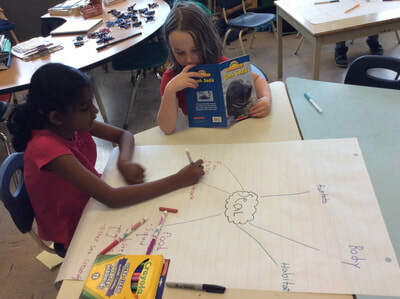 Room 9 & 11 will be sharing their learning every Friday.